Nelson Mandela Bay has confirmed its status as the watersport capital of South Africa with the announcement that the Jendamark Bell Buoy Challenge has been included as the first stop on the Open Water World Tour next year. 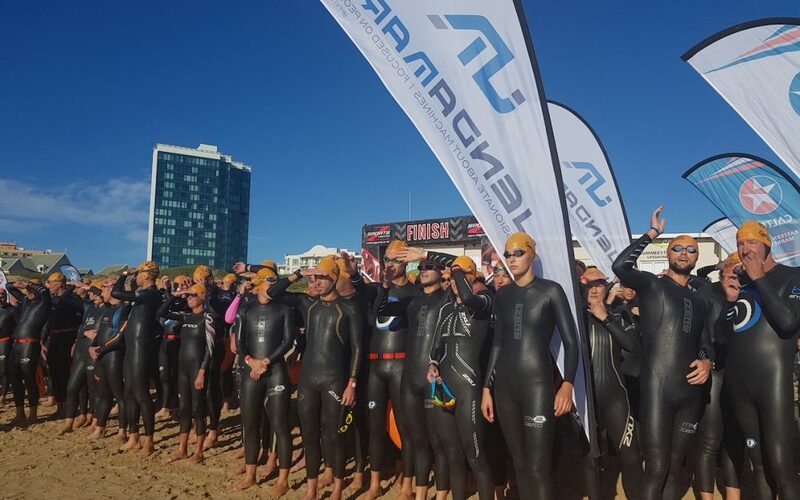 The 5km ocean swimming race, which celebrates its 10th edition in 2019, will see hundreds of local and international swimmers taking to the waters off Port Elizabeth’s Pollok Beach on Saturday, April 13. Event organiser Michael Zoetmulder said the inclusion of the Indian Ocean race on the prestigious amateur world tour was a welcome development and a major boost for sports tourism in the Bay. “As the only approved African event in this competitive series, we are very proud to be able to share the beautiful but tough racing conditions in Algoa Bay with the world,” said Zoetmulder. With the Ironman African Championships taking place the weekend before, Zoetmulder said he hoped many of those international athletes would extend their stay to compete in the “double header”. Past winners of the Jendamark Bell Buoy Challenge include Bulgarian Olympian Petar Stoychev, who was the first man to swim the English Channel in under seven hours, and former Slovenian open-water champion Rok Kerin. Zoetmulder said long-standing title sponsors Jendamark had increased the total prize purse to R77,000, with equal prize money of R10,000 each for the male and female winner. Jendamark operations director Siegfried Lokotsch said the company was once again proud to be associated with the world-class event. For the 2019 world tour, South Africa joins a line-up of host countries that includes Greece, Italy, Austria, Peru and Canada.